It’s also like asking anyone to complete a task without properly training them on how to do it. Whether it comes in a one-on-one training format or full-fledged training sessions, employees always need trainings and refreshers on how to best perform their jobs and contribute to achieving corporate goals. Receiving continuous education also means they’re always on the cutting edge of industry developments. This blog post will take you through the 6 different types of employee training programs that are necessary for every company to deliver, and that can be hosted online. Digitally track and assess training completion – sign up sheets are so outdated! Provide employees with easy access to information, reducing uncertainty, misinformation and error. Orientation is the most common type of employee training. It’s a one-time event formally welcoming and introducing new hires to your company within their first week on the job. This training tends to be relevant to all company-wide roles and departments. Contrary to a very common misconception, orientation and onboarding are actually different types of employee trainings. While orientation training is a one-time session with a checklist-style agenda delivered to everyone in the company, onboarding training is a series of department-specific sessions that take place over a longer period of time. It is strategically created with the goal of enabling new employees to be as successful as they can be in their new roles in the shortest period of time. Onboarding trainings ideally start on the first day of employment and may carry on throughout the first year as needed. It is prepared by department leaders with the focus of reaching departmental goals and connecting them with overall company objectives. Topics should, therefore, address employee needs and provide them with easy access to information and skills that they need to do their jobs efficiently and maximize employee engagement. A holistic onboarding training program should focus on more than the technical aspects of a job. It should also offer education on ways to stay engaged and productive at worked. A good example of such content is Mindfresh TV, a Uscreen video website that teaches modern mindfulness at work. Through 5 minute online sessions, Mindfresh videos teach anyone who works at works at a desk to boost body posture, decrease stress levels and increase productivity at work. This type of training is a great educational component to add to your company’s employee onboarding training. Effective and successful onboarding trainings gradually bring new employees up to speed much quicker than if left to fend for themselves. An effectively executed onboarding training will also free up a lot of leadership time because most answers to questions would be available within the training. No matter what technical level your employees are at, there is always room for improvement. Technical (hard) skills include the know-how of doing things like data analysis, content writing, social media management, coding, programming, etc. Technical skills training is a fundamental employee education component because it’s the main way your employees will know how to technically do their jobs right. And for those who already know how to do their jobs, we guarantee they still have more to learn. Employees need to engage in ongoing learning on a regular basis to stay up-to-date with the latest developments. MTD Training Group has great technical skills development training content that can serve as inspiration for your training content. 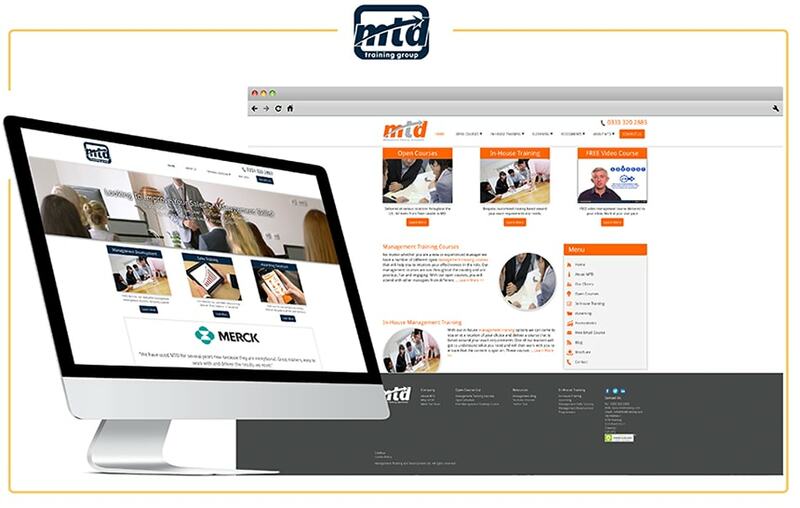 MTD is a training center that uses Uscreen to provide a full range of blended learning solutions on sales and management skills development topics, including videos, podcasts, e-learning and online support solutions. Technical skills development programs can be included in the onboard training program or can be delivered to any existing employees who can use a little more development. There is always something new to learn. How your employees act is just as important and what they know – that’s why soft skills are so essential for growth. Soft skills are personal attributes that enable employees to interact effectively and harmoniously with other people in the workplace, including co-workers, management, and customers. Studied have actually shown that a gap in basic soft skills among company employees affects company success and increases turnover rates. Soft skills trainings are useful for new and existing employees of all levels and are an extremely effective way to build an efficient, respectful and collaborative culture – ultimately affecting the bottom line. A great example of online soft skills training video content can be found at Leadercast, one of Uscreen’s best-performing customers. 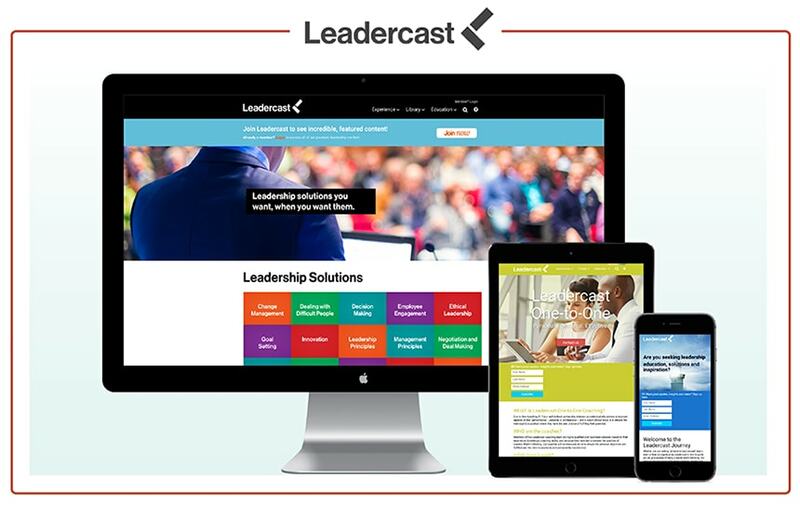 Leadercast is a leadership development consultant that uses Uscreen to host current, relevant and inspiring content for its clients. It is a full suite of learning solutions designed to meet the leadership development needs of all employee learners and serves as a solution map throughout the continuous learning spectrum. Product trainings can either be a part of onboarding for new comers or can be available for any employees who need refreshers on the products and services the organization offers. This type of training can also be used to educate staff on newly introduced products, services or features so they are always up to date. Depending on where your company is located and the industry it operates in, certain employee preparedness and training regulations may apply. For instance, public-sector employees are often required to take occupational health and safety trainings and refreshers. Establishments with liquor licenses need their server employees to be alcohol-safety certified. And a few state laws require both public and private companies to deliver sexual harassment trainings to employees. Governments will often provide these trainings themselves, and since it’s 2017, they usually exist online in the form of slides and videos. With online access to these trainings, you can integrate them into your online employee training website to consolidate all required training in one centralized hub. With 6 different types of employee training programs that your company needs to deliver, hosting your training portal online is the easiest and most cost-effective way to do it. Whether you decide to host all your trainings online or start off with just a few, Uscreen is the platform that can serve you best. Uscreen is a video streaming platform that allows you all the flexibility and none of the hassle of building a video website. Uscreen provides the ultimate personalized video-distribution platform with a login wall, offering your company the opportunity to host its own customized training portal to populate with films and videos, case studies, planned readings and quizzes to bring your employees up to speed. Peri is the content marketing manager at Uscreen. She writes to teach the world about the ways of video monetization. She’s also a visual artist, traveller and dog lover (although she’s starting to warm up to cats). Here are 21 great examples of video testimonials from companies both, large and small. Regardless of the size of your company, the product or service you sell, and the marketing budget you’re working with, you can use the principles in these video testimonials to guide your own efforts. Training videos are highly effective and the new trend of e-learning has really changed the way we learn. Here are 10 effective training video examples and what you can learn from each.